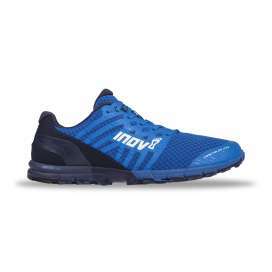 Inov-8 has been manufacturing shoes with minimalist characteristics since birth.The goal of Inov-8 is to keep the athlete's foot as close as possible to the ground, so that the runners can feel and adapt to the terrain. 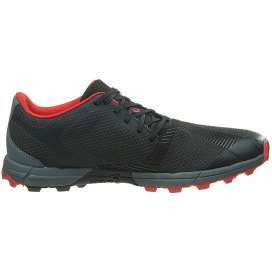 Their models are functional, lightweight and with zero drop, whether you are going to run on mountain or asphalt, trekking or even for fitness activities such as crossfit. Its extensive catalog is completed with clothing and materials for outdoor activities. 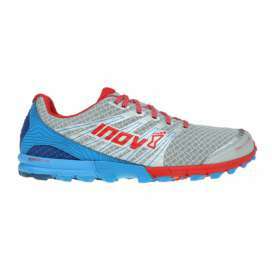 Since its inception, Inov-8 is a guarantee of confidence and offers runners the freedom to run faster regardless of the terrain they run. 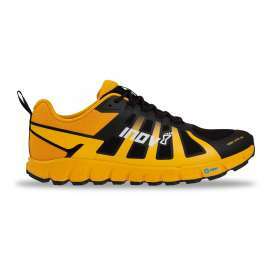 Drop 4/Weight 290g/Stack Height Forefoot 14 mm. 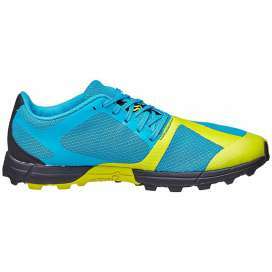 Super versatile trail running shoe with drop 4 mm. 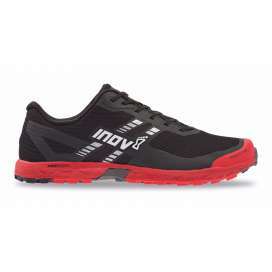 Weighing just 290g, this flexible and responsive shoe is designed for running fast and in comfort. 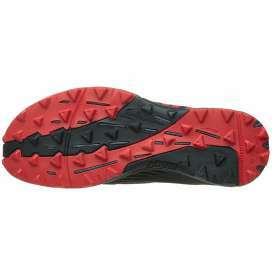 Graphene grip (G-Grip) gives superior traction over mountain rock, hard trails and muddy grass. Drop 4/Weight 310g/Stack Height 15mm. The inov-8 Roclite 320 Gore-Tex is a lightweight and agile waterproof boot designed to walk and run fast on any type of terrain imaginable. With a 4 mm drop and X-Protec offers the optimal combination of natural movement and flexibility with climatic comfort and protection from the elements. Drop 4/EVA 9/Altura Antepié 16 (mm) Las Inov-8 TerraClaw 220 son unas zapatillas minimalista intermedia de montaña con un perfil muy bajo. La suela de dobles densidades presenta tacos trianguales multidireccionales, que ofrece una excelente agarre en cualquier condición. Muy adecuadas para correr rápido por la montaña con un plus de protección y tracción. 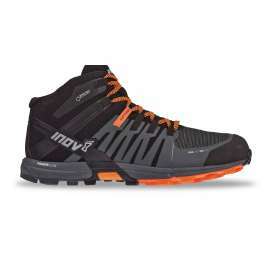 Drop 4/Weight 260g/Height Stack Forefoot 12mm. 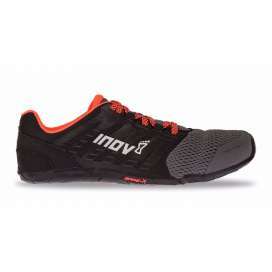 The Inov-8 Trailroc 270 is a new lightweight, quick-response minimalist trail shoe for stony technical terrain, trails and tracks. It fits perfectly to the foot with a wide wide front, has 4 mm of drop, a very light weight and a sole of double rubber that allows an exceptional grip. Drop 4/Weight 219g/Stack Height 13mm. 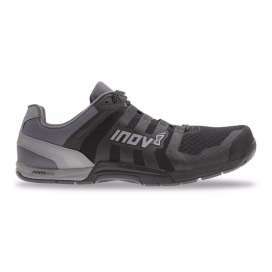 The inov8 Trailtalon 235 is a lightweight, agile and versatile minimalist shoe designed to run quickly on any type of trail around the world, including on asphalt. 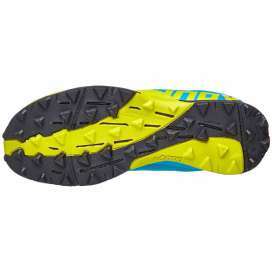 This new update of the Trailtalon series provides a perfect fit in the heel and a upper with better sensations. Drop 4/Weight 238g/Height Stack 13mm. 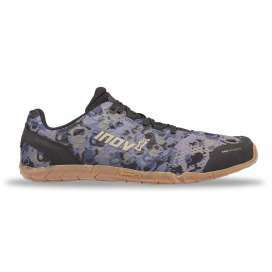 The Inov-8 TrailTalon 250 is a new lightweight, quick-response minimalist trail shoe for stony technical terrain, trails and tracks. 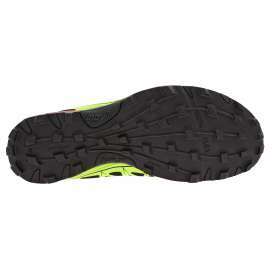 It fits perfectly to the foot with a wide wide front, has 4 mm of drop, a very light weight and a sole of double rubber that allows an exceptional grip. Drop 3/Weight 200 g/Stack Height 17 mm. The Inov-8 X-Talon 200 is a minimalist trail running shoe for running on technical terrain, with loose rock, grass or mud. 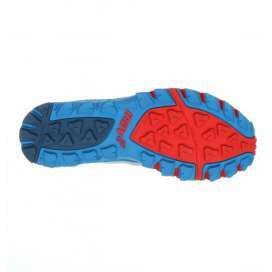 It fits perfectly to the foot, has 3 mm of drop and the rubber of the sole allows an exceptional grip.